Beautifully hand crafted rectangular tiffany pendant shade with open top and bottom. 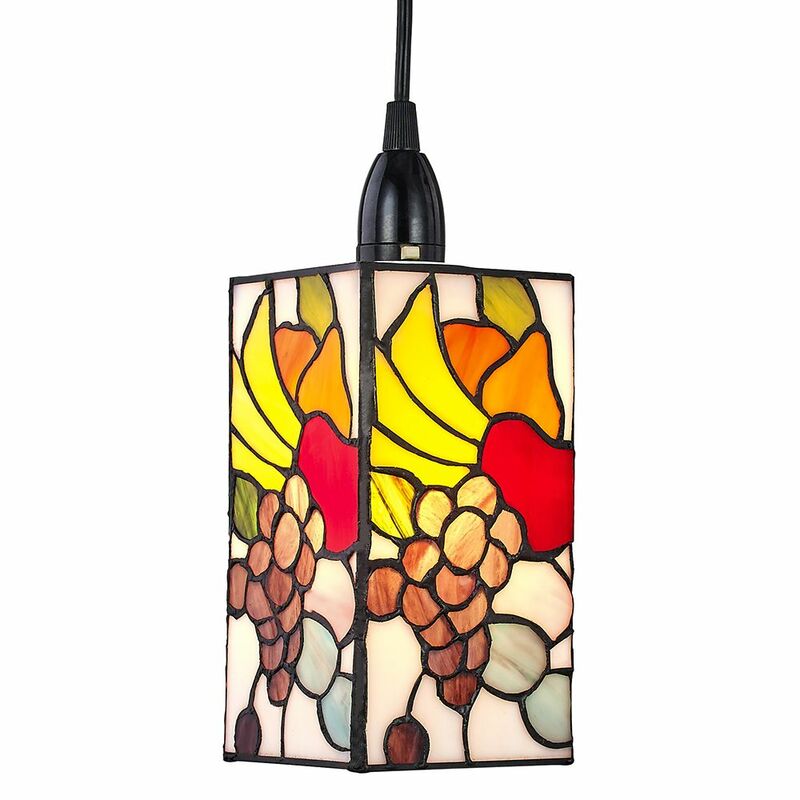 Features fruit themed design with multi-coloured stained glass. Product measurements - Height: 19cm, Length: 10cm, Width: 10cm. Please note that ceiling rose and cable is not included - pendant shade only. Maximum wattage allowed: 1 x 60watt (bulb not included). For indoor use only.